Computers are supposed to make our lives easier, yet sometimes it feels like they exist only to cause us endless amounts of frustration. Popular advice for slow computers includes antivirus, RAM upgrades, or even reinstalling Windows from scratch, but these make a lot of assumptions about what's wrong with your computer (that may not be true). Here's how you actually get your PC running fast again. When a computer starts to feel a little sluggish—particularly if it's getting a lot of popups—many people jump directly to the conclusion that they must have a virus or other malware. Usually, this means buying antivirus software, sometimes even a secondpiece of antivirus software to make sure you're "doubly protected." However, malware protection is a lot simpler than most people make it out to be. Why It's Wrong: First of all, let's talk about what it takes to get infected. Start by learning a bit more about viruses and what they do—we recommend reading our guides to malware, virus myths, and false positives in antivirus apps. Your first line of defense should be safe browsing. If you're downloading shady files, clicking on internet popups, or opening links from unknown email, you'll greatly increase your chances of getting one. But if you're even mildly responsible, it's unlikely you'll ever get an infection. Now let's talk about antivirus. 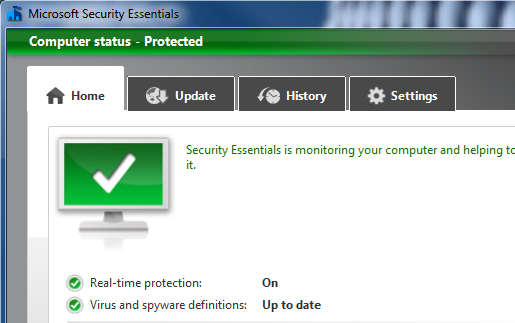 It's not only important to have antivirus software installed, but it's important to have the right kind. Check and see if you have a trusted,updated antivirus program running on your machine. If you do, and it says your computer is uninfected, then you're probably safe. Next, find out what antivirus software you're using. Some programs, like Norton or McAfee, are remarkably slow and bloated. In fact, they're probably one of the reasons your computer is so slow. We recommend ditching other antivirus apps and using Microsoft Security Essentials. It's free, lightweight, and will let you know if you download anything suspicious. (Note that Windows 8 users already have Windows Defender built-in, so they don't even need to install anything). You should never have two antivirus apps running at once. Exceptions: While a good, lightweight antivirus program will protect you from malware, it won't protect you from the much more common crapware, which is another beast entirely. Crapware isn't malicious by nature. Instead, it's software that you don't want but were probably tricked into installing, and it can slow down your computer. We'll talk a bit more about this in the last section, but for now, take a look in the Control Panel under Add/Remove Programs—if you see programs you don't recognize and aren't from trusted developers like Microsoft, it's probably something you don't want on your machine. Another common "fix" that people turn to is hardware upgrades, specifically easy ones like RAM and hard drives. Many people think that the more RAM and hard drive space you have, the faster your computer will be. Unless you have an older computer that is filled to the brim, however, upgrading won't give you the boost you want. Why It's Wrong: Installing more RAM gives your computer greater multitasking abilities, particularly when running resource-intensive applications. Unless you're using particularly RAM-hungry programs—like Photoshop, for example—you probably only need 2-4GB of RAM, which most modern computers should already have. Similarly, hard drive space is only a problem if your hard drive is filled up to the brim. If you still have 10% of your space free, you don't need to upgrade. Exceptions: Upgrading your RAM will help if you have 1GB or less in your system. If you multitask a lot, you'll probably even notice a difference upgrading from 2GB to 4GB. You're best off checking the resource monitor(or Activity Monitor on OS X)" to see how much you use on a regular basis. If your RAM usage isn't running up against its limit, then you're probably fine. Also, RAM upgrades do benefit more resource-intensive work like image or video editing, so consider upgrading even further to 8GB. Just make sure you're using a 64-bit operating systemso you can actually make use of it. When it comes to hard drives, remember we're talking about space here—hard drive upgrades can, in fact, be beneficial if you upgrade to a faster hard drive like an SSD. In fact, it's one of thebest upgrades you can make to speed up a slow computer. Many people think that the components inside your computer get slower gradually over time, just due to wearing out. 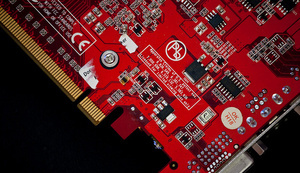 While your computer won't last forever, the hardware should stay the same speed until it dies. It doesn't get slower the more you use it. Why It's Wrong: The main reason your computer slows down over time—even if you don't have a lot of apps—is that your software updates regularly, becomes more feature-filled, and needs more power to function. In theory, if you did a clean install and never updated any of your software, everything would run as fast in year four as it did on day one. But that's not exactly a feasible—or secure—way to use your computer. 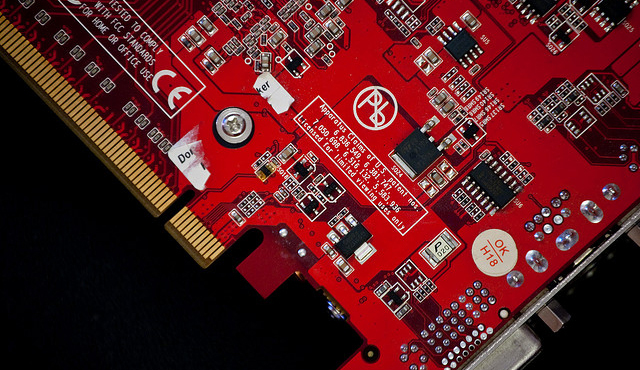 Your hardware will wear out, but you won't notice a gradual slowdown. Instead, it'll just die a quick, painless death one day and stop working. In fact, this quick death is a good reminder that you should back up regularly. Update: Many of you have pointed out that there is a big exception to this rule and that is hard drives. Hard drives can start to slow down as they reach the end of their life, but if this happens to you, that means your drive is at risk for corrupting important files (at best) or dying at any time (at worst)—a much more pressing issue. You can check your disk regularly for bad sectors by opening up a Command Prompt and running chkdsk c: /r. 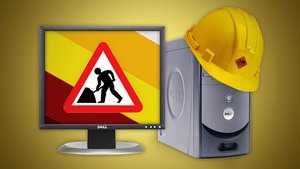 If it finds errors it can't fix, back up your data and upgrade your drive, or you could run into much bigger problems. Thanks to everyone who cleared this up. Exceptions: The other exceptions are small. Some old SSDs, for example, can slow down over time. The other parts in your computer, though, will not experience this phenomenon of gradual slowdown. Photo by Axonite. While a clean installation of Windows or OS X can speed up your machine (not to mention help clear your mind), it isn't something you have to do. Like we said before, your computer will slow down over time because of newer and more power-hungry software. If you find that a clean install speeds things up, though, it's because you're installing junk programs that slow down Windows or OS X more than necessary. Why It's Wrong: A clean installation runs faster because it no longer has all the apps, plugins, and other tweaks you've installed that can slow down your machine. When you do a clean install, those apps go away—until, of course, you build them back up again and start the vicious cycle once again. 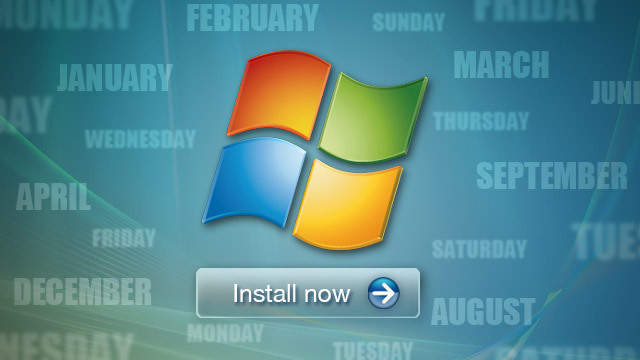 Instead of regularly reinstalling your OS, pay attention to what programs you use and try and keep them to a minimum. Pay particular close attention to Windows Explorer plugins, bloated antivirus apps, and other things that run in the background. Exceptions: If you get a new computer that comes packaged with tons of crapware, doing a clean install can help (though so can uninstalling those programs). In addition, it's also worth mentioning that if you like doing clean installs, we're not saying you shouldn't—it just isn't something you have to do. Assumption #5: You Need to Defrag/Clean the Registry/Tweak Prefetching/etc. Defragmenting: Windows Vista, 7, and 8 (and Mac OS X) automatically defrag your hard drives, so you shouldn't have to do it manually. If you're still on XP, however, you're an exception—you'll still have to defrag regularly. Cleaning Your Registry: When you uninstall programs, they're more than likely to leave a few things behind in the Registry. It's annoying, but it isn't going to slow down your computer. Registry cleaners are unnecessary and a tad risky, so you're better off leaving the Registry alone. Cleaning Windows Prefetching: Prefetch is a Windows feature that keeps track of what apps you run in order to start them faster. We don't know where people got the idea that cleaning it out would somehow help, but it doesn't. In fact, it'll not only slow things down but could even cause problems. Disable System Restore (or Really, Any Other Windows Services: Windows may run some services you don't need, but stopping them probably isn't going to speed it up enough to make you happy. In fact, if anything, you run the risk of stopping something important and causing more problems. In short: if it sounds like snake oil, it probably is. So How Can You Fix a Slow Computer? 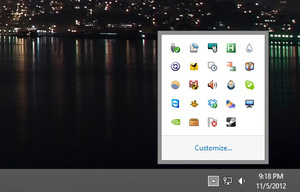 Stop Running So Many Apps at Once: Take a look at your system tray (or menu bar). If you have more than a few icons there, you have too many. If something is running that you didn't start, take it out of your startup queue. If you don't know what something is, find out if it's something you really need. If it's something you know you don't want, then uninstall it completely. Stop Installing Crappy Programs: Sometimes, a single app can bring your entire computer to a screeching halt. This includes programs that run unnecessary services in the background, hook themselves into the Windows Shell (like Windows Explorer plugins), or are just plain slow. If you're skeptical about an app, ask yourself: Does your computer run faster when you close that program? If so, then surprise: you should probably ditch it. "Crappy" doesn't always mean "sketchy," either. After all, we'd consider iTunes a pretty crappy app since it injects itself into every corner of your computer and slows it down a ton when you run it. If you can't live without it, at least use a different player for listening and only open iTunes when you have to sync. Stop Bloating Up the Programs You Have: The more work you heap onto an app, the slower it's going to run. Your music player will be slower if you have a huge library, so clean out that music you don't need. Your browser will struggle the more add-ons and plugins you install, so clean it out to speed it up. The less work you make your apps do, the faster they'll run. Perform Regular Maintenance: While there are a lot of maintenance myths out there, youdo need to perform a little regular maintenance once in awhile. Most of it involves keeping your software updated, your programs list trim, and your temporary files emptied. 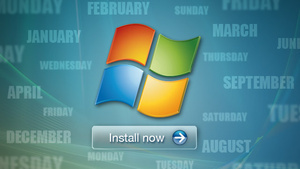 Check out our guides to Windows and Mac maintenance for more info. Of course, this all assumes you have a relatively new computer that can handle the work you need to do. If you're trying to run the newest version of Photoshop on a 10 year old machine, no amount of responsibility will make it run fast—you'll need a new computer (and you canrepurpose that old one). But, barring really old hardware or other special circumstances, you should be able to take any computer and get it running fast again with a bit of care and common sense.